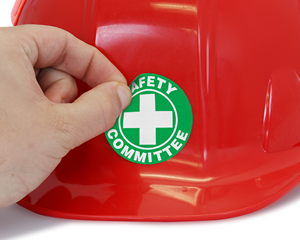 Hard hat stickers quickly identify your safety committee. Make sure that everyone knows who to turn to in an emergency. Make sure to empower your team members to spot and then correct unsafe work practices. • Find both stock and easy-to-personalize custom templates. Start with one of our easy templates below or just give us a rough sketch and we will convert this to a professional design at no extra charge. You may even add each committee member’s name to a hat. 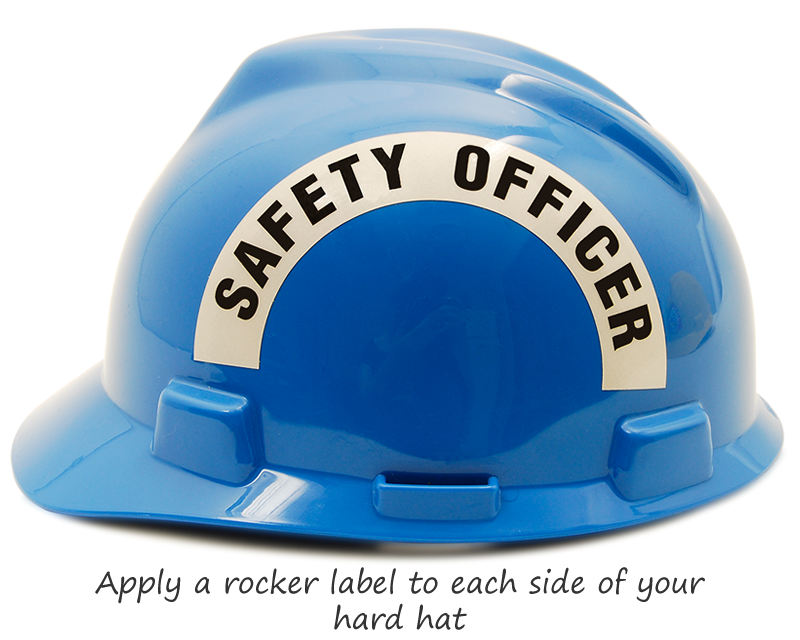 • Our rocker labels fit on the sides of your hard hats. Our crescent labels “snug up” over the top of our standard circular labels. • Most of these Safety Committee stickers use our wrinkle-proof materials. 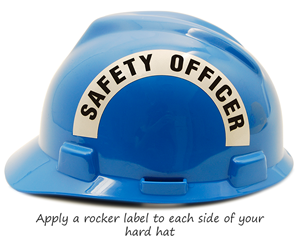 The HatHugger® vinyl or Spot-a-Hat reflective labels both use a patented 3M material. These stickers are weather proof and proven at the toughest of plant environments. They are work well on the compound curves or ribs of a hard hat. 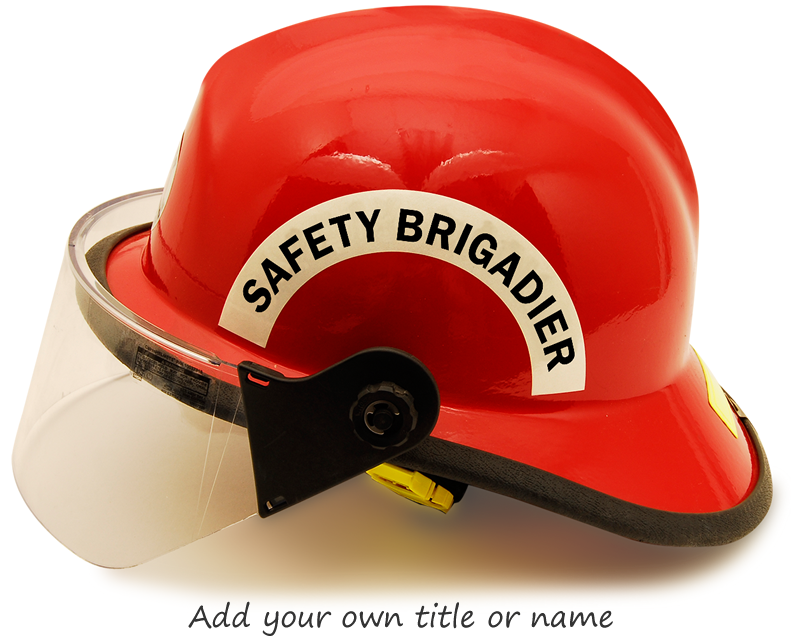 Quickly identify each member of your Safety Committee. Build team camaraderie and make it easy for others to remember each person’s name. Order a label for everyone. Order these in pairs. Quickly spot safety committee members. 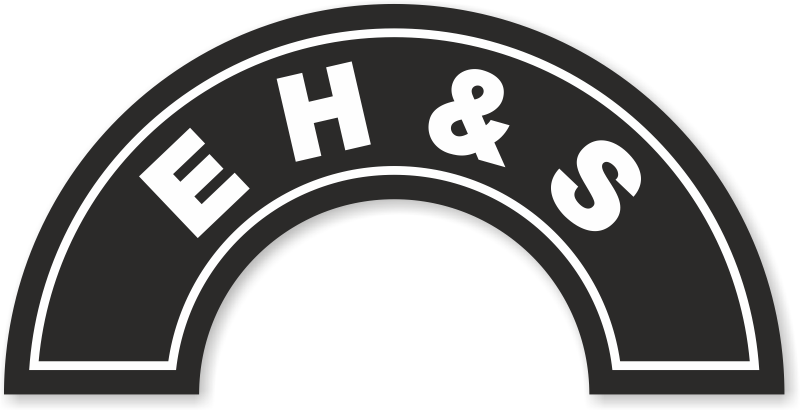 Most rocker labels are ordered in reflective material. I only needed one and got five.....guess who knows that I am the safety supervisor............everyone. You can tell who I am even in the dark, because I am shiny lol.